Parker Hartl strikes the lantern about his bowling endeavors as well as his league dynamic. Parker concentrates as he is throwing the bowling ball. Bowling is not the high-flying, homerun-smashing, tackle-making, crowd-exploding sport that everyone turns on the tv to watch, and it’s not even a school sport where friends and family will pack the stands. However, it requires just as much skill and practice to consistently bowl well with only a single error potentially costing a game. For Parker Hartl, this split-clearing, turkey-rolling game happens almost once a week at Treasure Island Casino down the road. Hartl got into visiting the alley during his dad’s annual business bowling parties. He discovered he had a knack for knocking down pins and checked out the Island’s tournament league. Soon, all of the Hartl brothers were lacing up their bowling shoes. The league keeps score based on points awarded for placing at individual tournaments, the highest being 50 points for first place. Parker reports his best score as “a 268, only missing one strike.” Considering the perfect game is 300, this score is phenomenal. Remarkably, this score only puts him the middle of a very large and competitive pack of 108 bowlers. Tough competition notwithstanding, Parker enjoys great memories, recalling when teammate and Cannon Falls native Ben Clow threw “a good ball [that] was gonna be a strike and then the stopper (pinsetter) just fell straight down and the [ball] nailed it!” After changing lanes due to a broken lever arm, Clow followed up his spectacular mishap with a gutterball, much to the merriment of the Hartls. 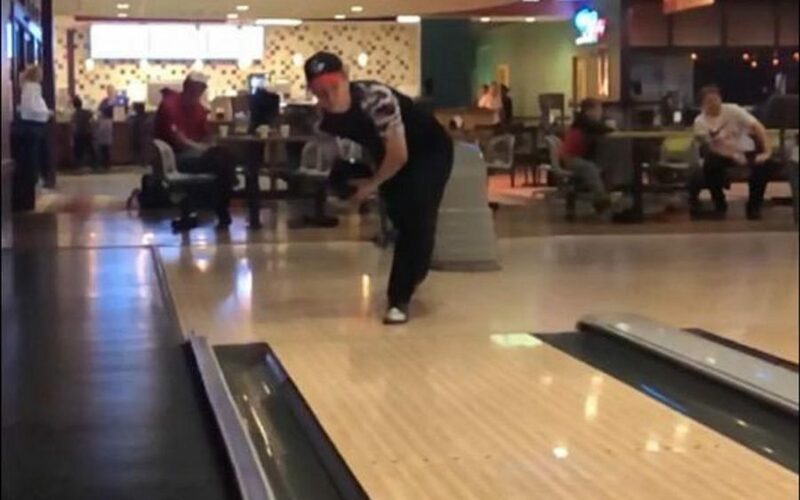 Despite the flourishes being limited to a curveball and a leg kick, bowling still attracts a good crowd of talented players, and Parker Hartl is right in the thick of it with the best of them. While not the same as a slam dunk on steroids, there is still something simply satisfying about hitting a strike (or seven) and a night out with friends.